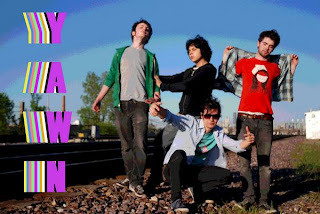 Previously known as Metrovox, the members of Chicago's YAWN have been playing around the city for a few years, but with a new name and a new, self-titled EP, they're poised for a fresh beginning. The five songs on the EP - released this month - find the band falling somewhere between the tribal hooks of Vampire Weekend and the synthy glee of Passion Pit, ultimately ending up with a lush, enchanting breed of indie pop that's well worth a listen. Opening track "Toys" sets the scene with a strong tropical drum beat, playful sound effects and an excellent falsetto chorus. The remaining tracks don't stray too much from this basic formula, but each offers enough nuance to keep things interesting, from the hypnotic, chanting vocals of "David" to the meaty guitar of "Empress." YAWN reportedly recorded this EP in their apartment, which is quite a feat considering the high quality of the material and production. Keep these guys on your radar - it wouldn't be a shock to see them scoring some major attention in the near future. 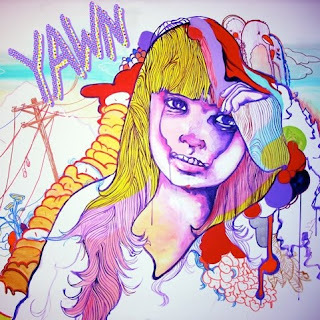 The band is currently offering the EP for free download, so head over to yawntheband.com to listen for yourself. So I came across this guys list of the best bands from Illinois, what do you guys think?